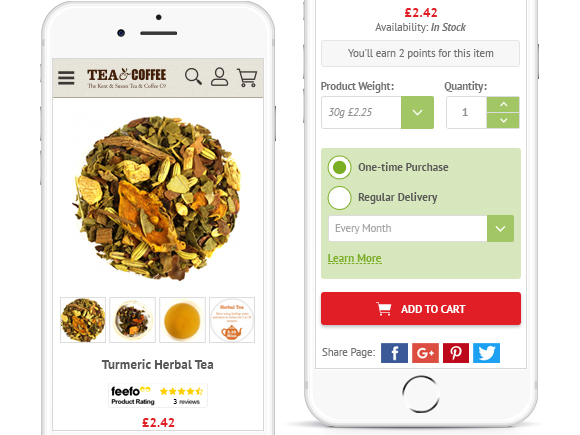 The Tea & Coffee company is a family business, grown from a small tea and coffee shop to a Magento multistore selling the most extensive range of teas and coffees available online. Our team had two ultimate goals to accomplish. The first goal was to perform a migration of the website from Magento 1.9.3.1 to the Magento 2.2.0 platform. This idea was to help our client move the site to a newer more robust platform version with all it’s advantages, as well as preserve all the integral business data like customers, products etc. The second goal was to create new designs for the website meeting Magento 2 best practices, but keeping the existing and recognizable look and feel of the brand from Magento 1 to Magento 2. The development team encountered challenges with the Data Migration Tool and found that it had a number of shortcomings. ; so the team amended this tool to work for us. Along with that, there were issues with EAV attributes transportation that mapped in a non-ideal way in Magento, so the team created a special script to get this fixed. To make a long story short, we had lots of issues with data transfer that were resolved by database & migration tool amendments. We have implemented accelerated mobile pages to make the mobile version of the website faster and more mobile friendly. If you want to find out more about AMP, please check our article “How To Create Accelerated Mobile Pages in Magento 2“. At the Checkout we added a BoxBerry shipping section exclusively for the Russian Federation region, and decreased the number of checkout steps to 1 step only. Furthermore, we implemented a product subscription functionality that solves the problem of constantly re-ordering the products customers love every time they run out of them. From now on, customers have the ability to subscribe to a product, and it will be shipped to them with a certain frequency they can choose. Our team has also integrated the website with the Feefo reviews engine, thereby enabling the site to pull all the product reviews customers leave on Feefo, onto the client’s website keeping reviews up-to-date and appearing more enticing and reliable to customers. In addition, we have developed a Stock Management feature that allows the store to manage product stock. In this case, it was done in grams as this is an essential feature for our client since they sell weighted products. With this in mind, it was very important to them to be able to manage stock in grams rather than in item quantity like some other stores. 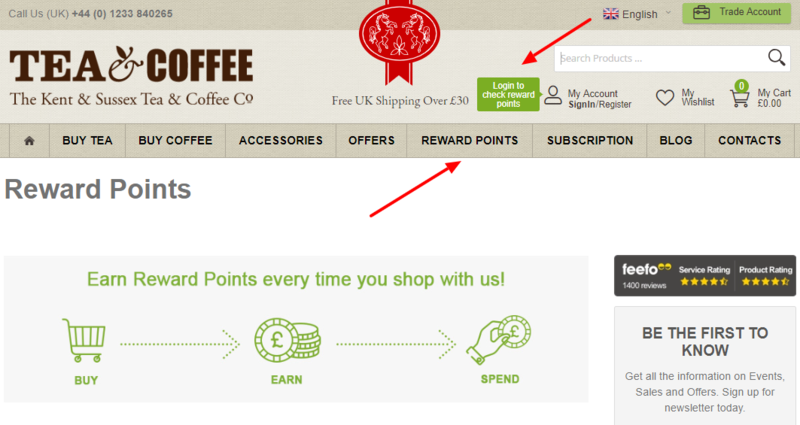 Finally, we have added a Reward Points tab to the My Account section via a 3rd-party Mirasvit Reward Points + Referral Program for Magento 2 extension. This provides customers with the ability to keep track of reward points they earned on the website. So far, these are the major things that we’ve implemented for our client Tea & Coffee, but there are surely more to come. If you have any questions or have a project in mind, please drop us line. We will be happy to help.